At Lannaman & Carter we provide all of the services necessary to effectively manage the accounting and taxation requirements for your business. If you’re just starting out with a new business venture or if you already have an existing business that has been operating for a number of years, we can help. Our accountants are experienced in helping new businesses grow and using their accounting expertise to help established organisations. We also have a history of working with contractors and freelancers, helping them through the year with business accounting and advice. We specialise in helping SoleTraders, Limited Companies and Small Businesses, we are Registered Agents for HMRC which allows us to file your tax return directly to them on your behalf. So, once you're happy with the return we’ll submit it to HMRC for you. Our accounting services include:Tax Returns, VAT Returns, Accounts Production, Bookkeeping & Consultancy . We also provide unlimited business accounting support throughout the year with every one of our services, and so you will always have access to your dedicated accountant whenever you should need it. Our support is unlimited and provided at no extra charge. And in January, when our customers need us the most, we extend our support capacity and hours more than anyone else. 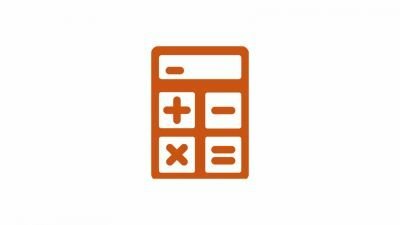 Our established team have both academic and practical accountancy experience, so you know that whatever your problem, we can find a solution. Let our accountants take care of your business accounting, giving you more time to focus on growing and running your business. We can provide for all of the services necessary to handle the accounting and taxation requirements for your business. We have always believed in transparent pricing with no hidden extras, please give us a call today to discuss your requirements in more detail.